Modern concrete is a very durable construction material and it provides a long service life, if it is properly proportioned and placed at the site. Nowadays many concrete houses built just 20 to 30 years of service life, and under repair. Unfortunately, in such circumstances, the concrete house needs maintenance or repairs to retain their serviceability. Not only the ageing of house, but sometimes other reasons may have an adverse effect on the durability and integrity of the concrete homes. I.e. the effect of bad weather, cavitations, abrasion-erosion, corrosion of reinforcement, effects of chemicals, carbonation, cracks, design and construction defects, etc. In such cases, it becomes necessary to repair concrete as early as possible. Many people do not know how to inspect concrete or what is the right procedure to do repairing of concrete. Here are the useful steps for the repairing of concrete. The most important step of repairing of deteriorated concrete is to determine the cause of damage. Knowing the exact cause of damage, and reducing or eliminating that causes only will help to sustain repair for a longer period. If we attempt concrete repair without knowing and resolving the cause of damage, the repair may fail again under the same cause, and will result in waste of effort and money. You should identify the action of freeze and thaw, cavitations, abrasion-erosion, structural overload or movement in the form of cracks or spalling of concrete, etc. by visualizing with the naked eye. We already have mentioned the ways of inspection of cracked concrete and various reasons of the building collapse. It gives detailed information to find out the suitable causes of damage of concrete. 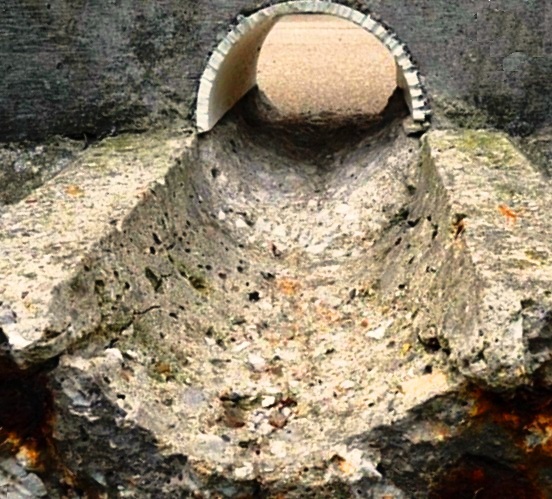 In certain cases, it is impossible to find the right causes of the damage to concrete without carrying out the test. like carbonation of concrete, the chemical attack on concrete, alkali-aggregates reaction in concrete, etc. In such case, contact experienced structural engineer or repair experts who are certified to carry out testing of concrete. You can search the reputed structural consultant or concrete experts on gharpedia-nearby professional. Please note that most of the times, there are more than one reason for damage, and you have to detect and treat all, otherwise repair will fail. The next step of concrete repair is to evaluate the extent and severity of damage, it means how much concrete has been damaged and how this damage will affect the service life of concrete in the future. In other words, find out how much strength or load carrying capacity it has lost. One of the most common and easy technique to evaluate the damage of concrete is “concrete soundness Test”. In concrete sound test, a hammer or large metal object is hit on the surface of the concrete. If the sound of the strike is distinct ringing sound, then the concrete is durable, and if the sound of the strike is hollow or drummy or dull, it indicates a concrete is delaminated or disbonded concrete (poor concrete) and it needs to be repaired as soon as possible. 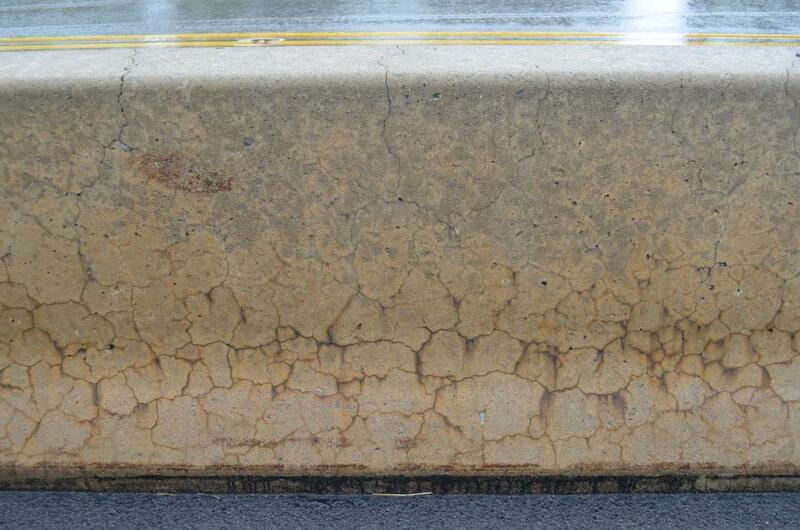 There are many non-destructive tests which are used to evaluate the damage in concrete. Following are the list of important non-distructive tests which are used by concrete experts to evaluate the durability or damage of concrete. Not all the concrete needs to repaired immediately. If the damage to concrete affects the safety of the homeowner or reduces the future serviceability of the house, then the repair is required instantly. It may be possible to reduce the rate of deterioration by doing some maintenance work when you detect the damage of concrete at an early stage. Hence, we can say that the proper and regular maintenance of the house reduces the cost of repair, and ultimately it saves money too. Removal of deteriorated or damaged concrete is an important step to accomplish a proper repair. This step involves the cutting/chiselling of concrete in suitable shape, removing of loose concrete, steel cleaning and the coating of bonding agent on reinforcement steel, cleaning of the repair area, application of the bonding agent on the concrete surface (to make a proper bond between existing and new concrete), application of repair method, and curing of repaired surface. Generally, the old or existing concrete (damaged concrete) is to be cut in suitable shape (i.e. square, rectangle, etc.) by using a grinder or a hammer and chisel tools. Refer following figure. To make the repair durable for long lasting, the bond between the existing concrete and the new concrete should be good. If the deteriorated portion of old concrete is not removed fully, it does not allow to make a good bond between old and new concrete. Hence it is necessary to remove loose concrete up to a depth where the existing concrete gets the good surface for the bonding. The damaged concrete can be removed with the help of tools like hammer, wire brush, chisel, small electric chipping hammer or breaker, etc. While removing the loose concrete, the reinforcement steel gets exposed and it needs special treatment. Generally, if the reinforcement steel is exposed to more than one-third of the periphery, then the concrete should be removed entirely from around the steel. It is not necessary to clean the steel up to original metal condition, just remove the loose debris which affects the bond between the repair materials and the reinforcing steel. In case of corroded steel, the bar should be exposed and cleaned up to the point where the steel is not affected by corrosion. If the corroded steel is inadequate, (loss of area of steel by corrosion) than the affected bars should be removed, and the new reinforcement steel should be placed according to the structural design and standards. If the steel is adequate, then clean the reinforcement steel, and apply rust remover on the surface of reinforcement steel. Prepare reinforcement steel before repairing of concrete. It is an easy guide to know the definition of corrosion, how it occurs in the concrete, what causes corrosion, how to find steel corrosion in concrete, and how to prepare reinforcement before you carry out repairing of concrete. After the preparation of reinforcement steel, clean the repair area. Remove all dust or loose particle from the repair area with the help of wire brush, brush, an air blower or forceful water spray. Remove all other materials that will weaken the bond between the concrete and the repair material. When all cleaning is completed, apply another bonding agent on a surface of the old concrete to make a good bond with the new concrete. Apply the bonding agent few hours before the starting of pouring of concrete. Protect the area from damage until the repair materials are poured and cured. Once aforementioned steps of repairing of concrete have been completed, the repair materials and the method of repairing need to be decided. Repair materials and methods of repairing should be selected based on the damage of concrete, size of repair work, the completion time of repair work, etc. 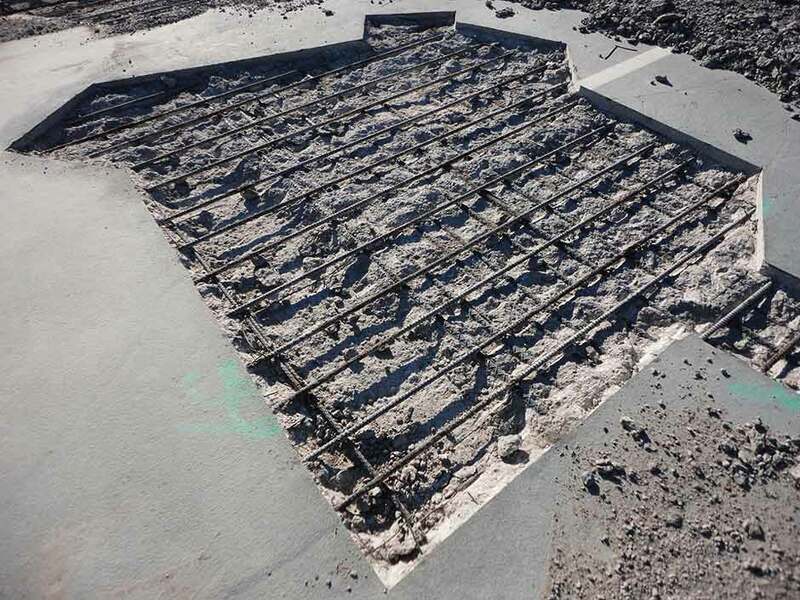 Repair materials and method of repair should be preferred in such a way that it will not accelerate the damage of existing concrete or reinforcement steel. We already have discussed the different properties and use of repair materials and methods of repairing of concrete. Different repairs materials require the different condition for the curing. The manufacturers of repair materials always specify the curing requirement of those particular materials in their material catalogue. Some materials require extensive water curing, where others may require less curing, and some need protection with no water exposure until they are hardened. You can use the construction materials exhibition on gharpedia to find suitable repair materials. We have also provided valuable information on concrete curing which will guide you about the right methods of curing used for the concrete construction. In conclusion, it is important to follow the aforementioned five steps for the appropriate repair of the defects of new or the old concrete. The problems like repair of concrete have occurred since the first concrete was placed. Even though the best available knowledge and materials were used, many repairs have failed. It is therefore necessary to use a consistent, systematic approach to repair concrete.